Khevsureti is historical province in high mountains, north-east Georgia, on the both slopes of great Caucasus range. Tusheti is located on the north slopes of great Caucasus range, from the west it borders with Khevsureti, and these provinces are divided by Atsunta range. North is Chechnia, border is on Pirikita range, and on the east is Dagestan, border is on Akazma range. So, surrounded from all sides by ranges, Tusheti itself is divided into two gorges by Gometsari range. So there are Gometsari gorge and Pirikita gorge. In Gometsari gorge there are two communities – Gometsari and Tsovata. Tsovata community earlier used to be Chechnians and then assimilated to Georgians. In Pirikita gorge are also two communities, Chagma and Pirikita. Historically Tush people are those who had emigrated from provinces Pshavi and Khevsureti, during characterization of highland regions. Those emigrants choosed to live in high mountains to keep their pagan religion against Christianity. Baptism of Tusheti happened later, but there still Christianity is mixed up with pagan traditions. Tusheti territory is national park. Attention: is it strongly prohibited to take to Tusheti any food made from pork, anything made from pig’s skin!!! It is tradition. Tour starts in Khevsureti. 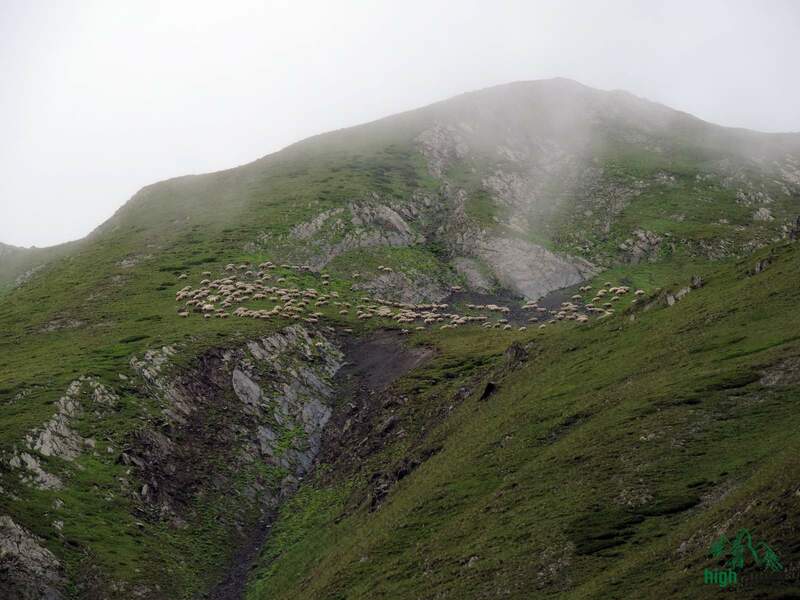 Transportation to Ardoti, on the way tourists will see Mutso and Shatili.After visiting Ardoti, tourists will trek by Khonischala gorge to Atsunta pass 3487 meters above sea level, and come down in Tusheti, Pirikita gorge. Tourists will visit villages Girevi, Parsma, Chesho, Dartlo, Kvavlo with original architecture. After go to Omalo, and from there make one day hiking to village Diklo. After tourists will return to Tbilisi by transport. Tour diration is 7 days. One day may be added for hiking from Shatili to Ardoti. During this trekking, tourists will see the most isolated regions of Caucasus, with it’s ancient traditions, kept untouched by modern world. Day 1: Arrive in Tbilisi International Airport. Tour around Tbilisi. Day 2: Drive from Tbilisi to Shatili. Transportation by a minibus. Visit Jvari Monastery, ancient city Mtskheta and Ananuri Fortress on the way. Overnight in tents in Ardoti. Walking distance 20 km. Day 4: Walk or horse ride from Ardoti to the foothills of Atsunta Pass (At 2000 m altitude). Luggage from Ardoti is carried by horses. 7 hours walk along the day. 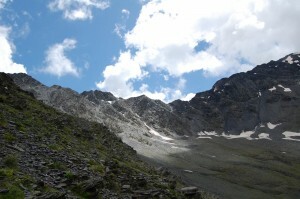 Day 5: We traverse Atsunta pass (3431 m). 7-8 hours walk along the day, 10 km around Atsunta Pass. Day 7: Drive to Omalo (At 1900m altitude, 1 hours drive), visit Keselo Fortress. Walking from Omalo to Keselo Fortress and back takes 1 hour. Drive from Omalo to Kakheti, visit local winery. Having a city tour in Telavi. Day 8: Drive from Telavi to Kvareli, having a wine tour in Kvareli wineries. Drive to city of love Sighnagi, having a city tour.